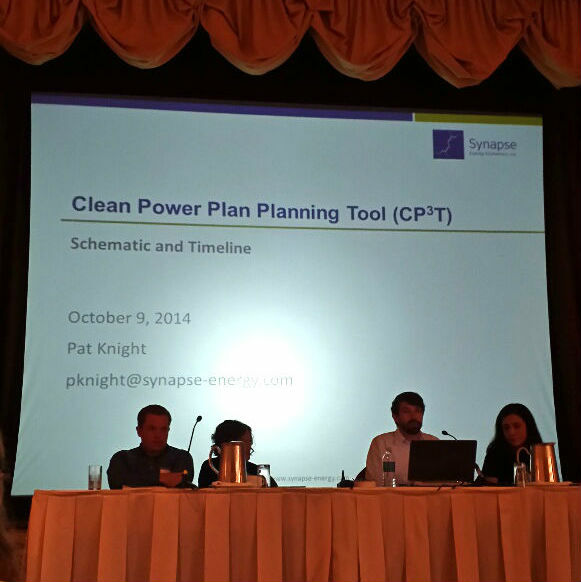 Synapse associate Pat Knight (third from left) presented on the forthcoming Clean Power Plan Planning Tool at Sierra Club’s Clean Energy Beyond Coal Conference in San Francisco on October 9. The tool, which will help states plan for compliance with EPA’s 111(d) regulation, will be available on the Synapse website next month. Pat was joined by several Synapse colleagues at the conference, including Vice President Tim Woolf, who presented on energy efficiency cost-effectiveness screening in a separate panel.